A vertical bicolour of gold and white; charged with the Coats of arms of the Vatican City centred. The flag of Vatican City was adopted on June 7, 1929, the year Pope Pius XI signed the Lateran Treaty with Italy, creating a new independent state governed by the Holy See. The Vatican flag is modeled on the flag of the earlier Papal States. The Vatican (and the Holy See) also refer to it, interchangeably, as "flag of the Holy See". 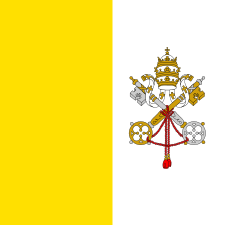 The flag consists of two vertical bands, one of gold or yellow (hoist side) and one of white with the crossed keys of Saint Peter and the Papal Tiara centered in the white band. The crossed keys consist of a golden and a silver key, in which the silver key is placed in the dexter position. The flag is one of only two square country flags in the world, the other being the flag of Switzerland. the two keys which represent the Keys of Heaven (according to the Gospel of Matthew 16:19) given by Jesus Christ to St. Peter. The popes are regarded as the successor of Peter, and the gold and silver keys have been significant elements in the symbolism of the Holy See since the 13th century. The gold represents spiritual power, while the silver key represents worldly power. 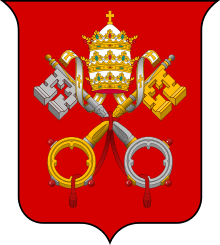 The order of the keys on the coat of arms of Vatican City is the reverse of the coat of arms of the Holy See, in order to distinguish between the two entities. a red cord connecting the keys. The yellow and white of the flag also refer to the keys – in heraldic terminology, there is no distinction between yellow and gold (the metallic color or), nor between white and silver (argent). The Argent color has also been reported in relation with the white mountains of Lebanon and of the biblical city of Miye ou Miye according to the Lebanese Historian Anis Freiha. 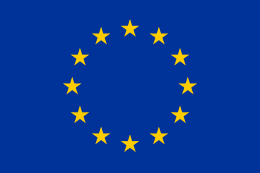 The flag is flown or displayed worldwide in some Roman Catholic churches and institutions, sometimes alongside the national flag of where the church or institution is located. Oratory Church of St Aloysius Gonzaga, Oxford, with the flag of Vatican City flying at half-staff the day after the death of Pope John Paul II. The Papal States traditionally used a yellow and red cockade, the traditional colors of the Roman Senate and the Roman people. However, these colors were not used on flags. In 1808 Pope Pius VII ordered the Vatican's Noble Guard and other troops to replace red color with white, in order to distinguish them from the troops that had been incorporated into Napoleon's army. 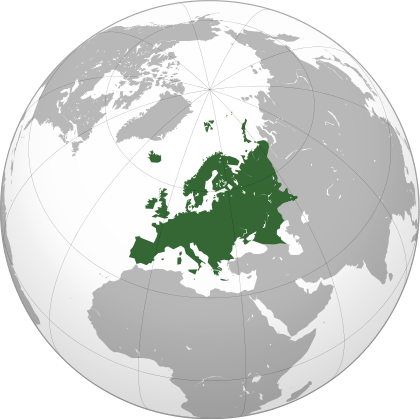 In 1803 the Papal States started using a white merchant flag with the Papal coat of arms in the centre. This flag was made official on 7 June 1815. On 17 September 1825 it was replaced with a yellow and white flag which took its colours from the materials of the key (yellow for gold, white for silver). These colors were probably taken from the 1808 flag of the palatine guard. This was the first bicolor used by the Papal States and the ancestor of the modern flag of Vatican City. The merchant flag also served as a state flag on land. Starting in 1831, the papal infantry flew square yellow and white flags. At first they were diagonally divided, but after 1849 they were vertically divided like the merchant flag. The last infantry colour, adopted in 1862, was a plain square white and yellow flag. On 8 February 1849, while Pope Pius IX was in exile in Gaeta, a Roman Republic was declared. The new government's flag was the Italian tricolor with the motto "Dio e Popolo" on the central stripe. The papal government and its flags were restored on 2 July 1849. On 20 September 1870 the Papal States were conquered by Italy and the yellow and white flags fell out of official use. After the Lateran Treaty was signed in 1929, papal authorities decided to use the 1825 merchant flag as the state flag of the soon to be independent Vatican City state. However, the official drawing in the constitution used a drawing of the square 1862 infantry flag as a template. The treaty came into effect on 7 June 1929, and with it the newly-square Vatican flag. ↑ "United Nations to Raise Holy See Flag on September 25". en.radiovaticana.va. Retrieved 2015-10-20. 1 2 3 Breschi, Roberto. "Stato Pontifico" (in Italian). Retrieved 9 February 2014. 1 2 Becker, Rev. William M. "Flag of Vatican City". Retrieved 9 February 2014. ↑ Becker, Rev. Dr. William M. (Jan–Mar 2012). "The Vatican Flag: Proportions & Alternatives" (PDF). NAVA News. Trenton, New Jersey: North American Vexillological Association. Retrieved 9 February 2014.